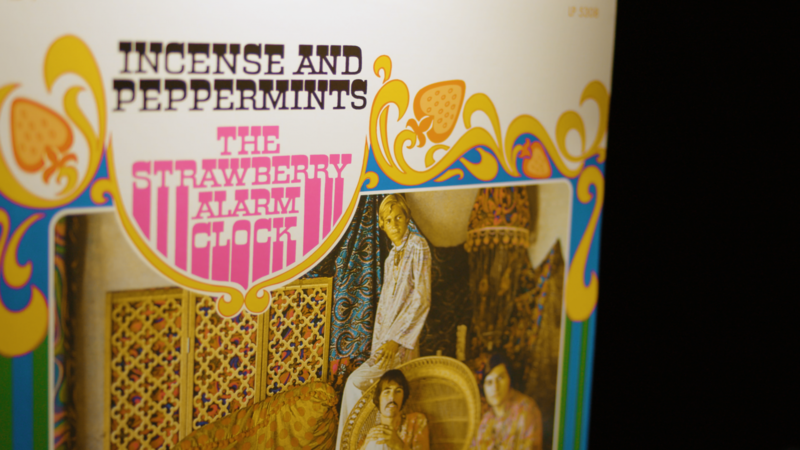 In this mini-documentary, hosted by Adam Reader of Professor of Rock, Strawberry Alarm Clock keyboardist and vocalist Mark Weitz shares his account of the drama that surrounded the recording of “Incense and Peppermints.” The back-story of this chart-topping psychedelic rock classic is both interesting and sort of a music industry soap opera. As Mark recounted, he had written the intro for the song, along with four verses and an ending. To complete the composition, Mark solicited the help of his friend and bandmate, Ed King, who came up with the bridge of the song. They decided to submit only an instrumental track to the band’s producer, Frank Slay. Frank sent a fully-mixed version of that instrumental track to John Carter, who was a member of the band The Rainy Daze, a group that Slay had also produced. John Carter and his writing partner, Tim Gilbert, wrote the lyrics that were used in the finished recorded version of “Incense and Peppermints.” However, Slay gave sole credit for the writing of the lyrics and melody line to Carter and Gilbert, ultimately cheating Weitz and King out of any song royalties. The song went on to sell over a million copies in the United States alone and hit #1 on the Billboard Hot 100 chart in November 1967. Undaunted by the denial of his rightful songwriting credit for “Incense and Peppermints,” Mark continued to work on new material for Strawberry Alarm Clock and wrote the band’s second biggest hit, “Tomorrow,” which peaked at #23 on the Billboard Hot 100 chart in 1968. Meanwhile, Ed King went on to have a prolific, albeit disjointed, career with the Southern rock group, Lynyrd Skynyrd, co-writing two of Skynyrd’s biggest hits, “Saturday Night Special” and the classic rock anthem “Sweet Home Alabama.” King was inducted in the Rock & Roll Hall of Fame, along with other members of Lynyrd Skynyrd in 2006. Psychedelic rock was part of a musical movement that permeated throughout the British and American cultures from 1965 through 1969. The sound of psychedelic rock was centered around mind-altering drugs, such as LSD, which were popular with many of the world’s biggest artists during that era, including The Beatles, Pink Floyd, The Rolling Stones, Cream, Donovan, and The Doors. Although the psychedelic sound was widely incorporated in many of the musical recordings during the mid to late 60s, a psychedelic-influenced tune rarely hit the Top 5 of the pop charts. “Incense and Peppermints” was an exception. The song proved to be irresistible ear-candy, with its sing-a-long, sha-la-la harmonies, layered by the genius combination of fuzz guitar, Farfisa organ, and a whimsical melody that transcended psychedelia. The music of Strawberry Alarm Clock may have been laced with psychedelia, but, as Mark tells it, the band was “straight as an arrow” when they were in the recording studio working on their music, and while on stage playing before live audiences. Mark continues to perform with Strawberry Alarm Clock, along with original members Gene Gunnels, Randy Seol, and long-time band members George Bunnell and Steve Bartek. He is also a coveted session musician, having worked with a variety of artists in the Los Angeles area, including Smashing Pumpkins frontman, Billy Corgan.